My first ever experience of a beauty treatment was about 7 years ago at Virgin Active Gym (then called Esporta) where they have a beauty rooms. 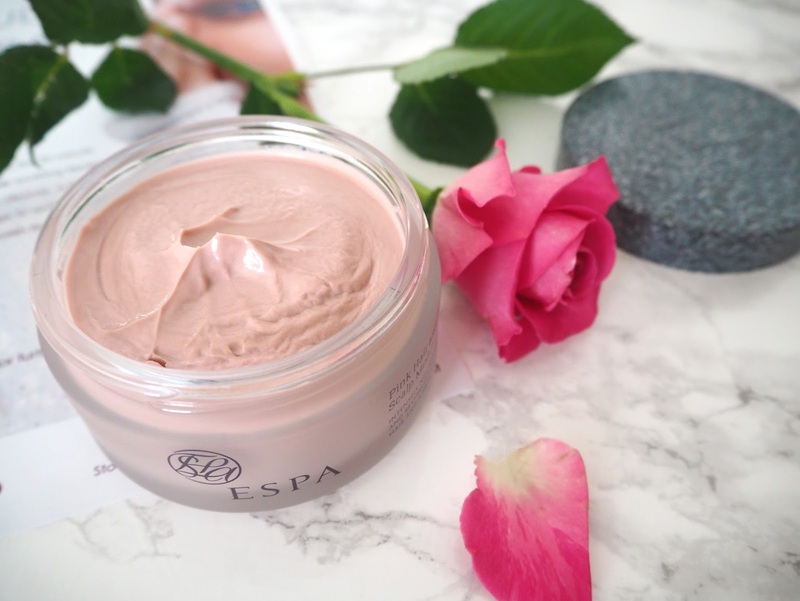 I think it was a facial I started with, I fell in love with how it made my skin feel, the aromas, products as well as the relaxed I felt afterwards. Since then I've been going as often as I can afford a treatment! All of products they use are by ESPA Skincare. A luxurious range of products with uniquely relaxing and evocative aromas and were initially created in Spa's for Spa's. I've bought a lot of products in the past, particularly those from the balancing range that have been used in my facials. I received some vouchers for Christmas so thought I'd treat myself to their special Winter Warmer offer that was on throughout January, which I found extremely appealing during this freezing cold weather we've been having! 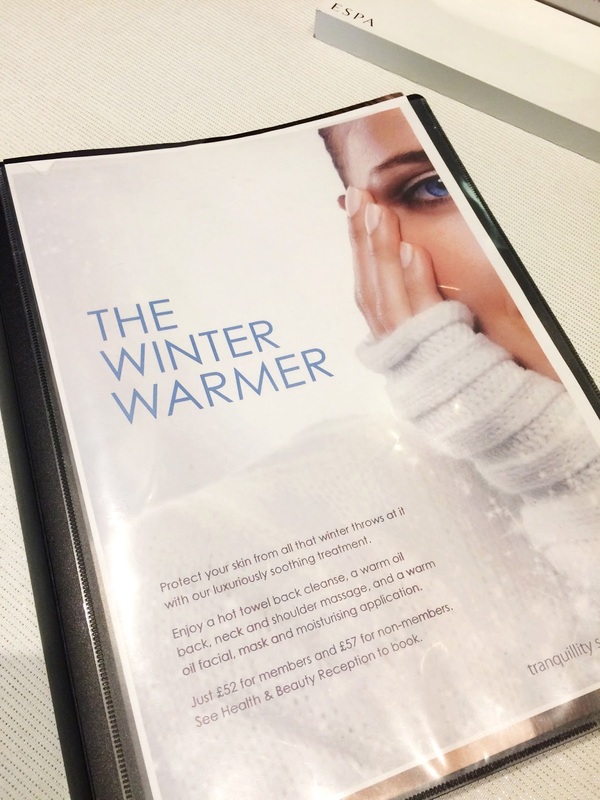 "Protect your skin from all that winter throws at it with our luxuriously soothing treatment. Enjoy a hot towel back cleanse, a warm oil back, neck and shoulder massage, and a warm oil facial, mask and moisturising application." The fact that I've known the main therapist there, Zoe for several years means that she's already very aware of my medical condition and pain so I feel really comfortable which is what you want during a treatment. So as it says in the description I started off with a back cleanse with a hot towel to remove it (which was the most heavenly thing!) followed by a back, neck and shoulder massage using warm ESPA Body Oils. Then I turned over and had a facial: cleanse, face & eye mask, tone and moisturise. I also had a lovely scalp massage, so all in all - Bliss! 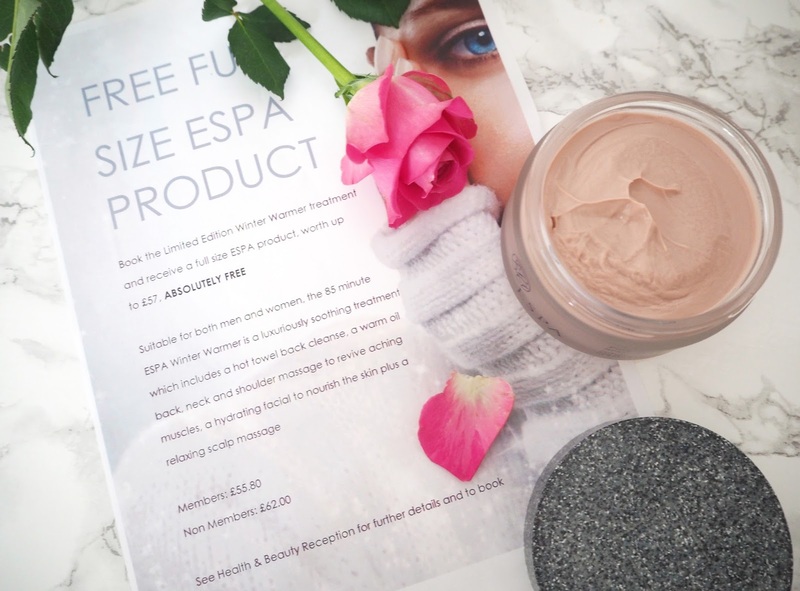 Within this offer you also got to choose a product from a selection they had out after the treatment - what amazing value right?! 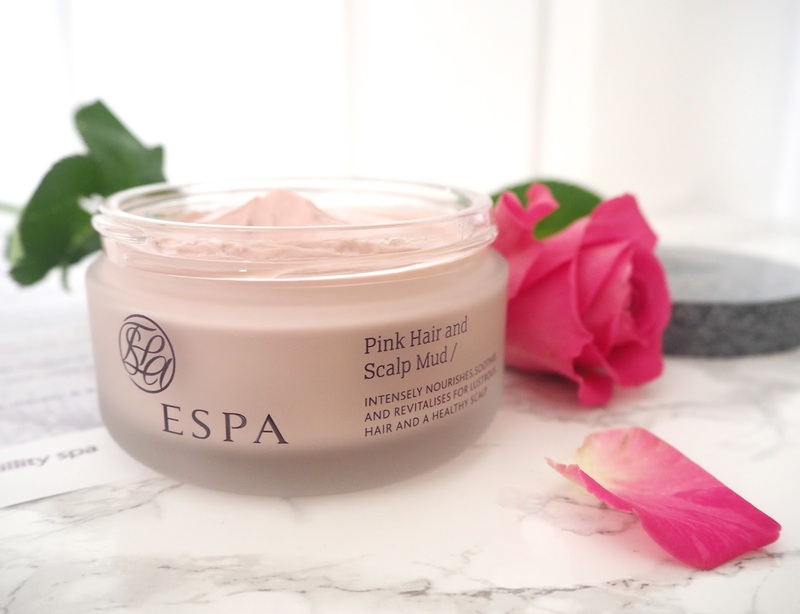 I chose the Pink Hair & Scalp Mud which is a long time favourite of mine. They use it in the scalp massage at the end of every facial and the fragrance is so unique it always brings me back to having a relaxing treatment whenever I use it at home! Using mineral rich red clays, this unique conditioning treatment mud mask leaves hair soft and smooth. Vitamin C-rich watercress and Apricot kernel oil soothes and nourishes your scalp, while the red clay stimulates circulation to help boost growth and strengthen and promote healthy, glossy, manageable hair." I find the treatments at Virgin Active to be really affordable compared to other Spa Treatments I've had/seen. Usually it works out at roughly £1 per minute (at least) so a 40 minute treatment would cost around £40, an hour about £60 etc. The treatment I had was 85 minutes so according to my theory should have £85 but it was actually only £57 and as a Virgin Active member I get a discount so I had it for £52! 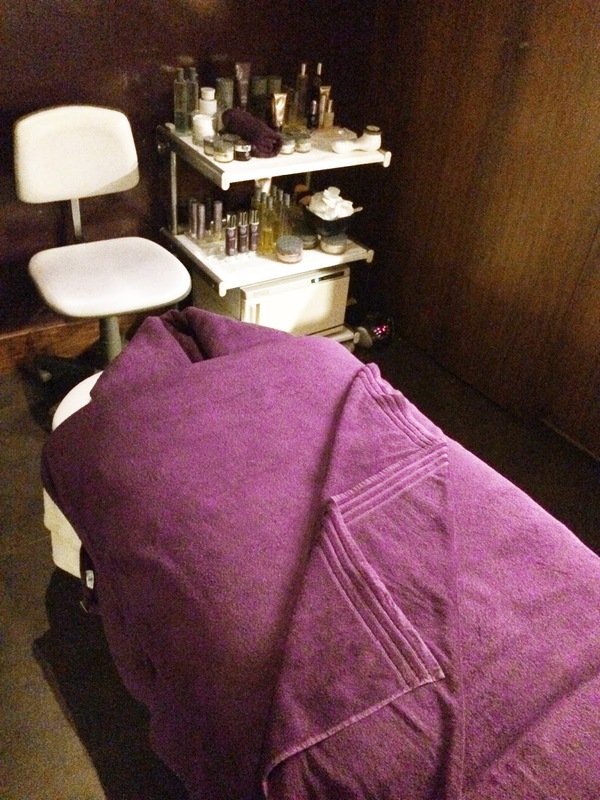 I really enjoyed this treatment it felt particularly luxurious! 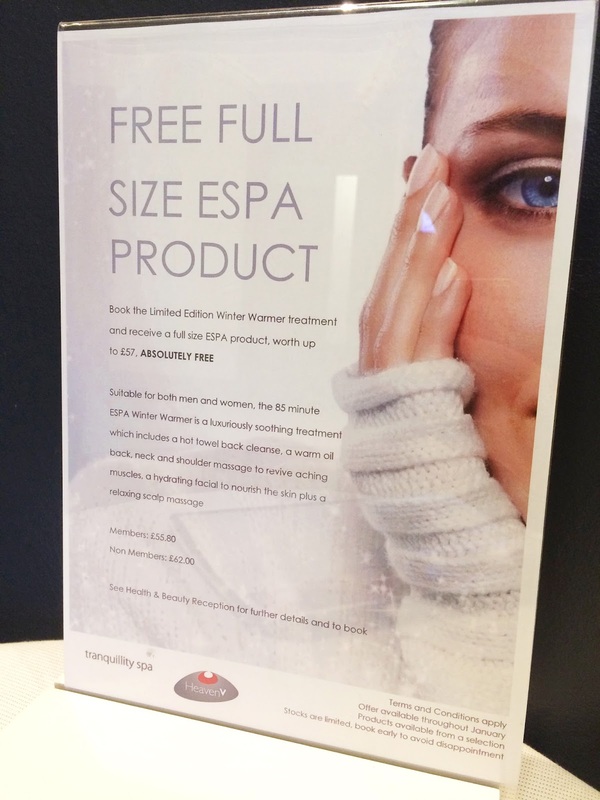 If you fancy an ESPA Beauty Treatment you can find where your nearest Spa is here. 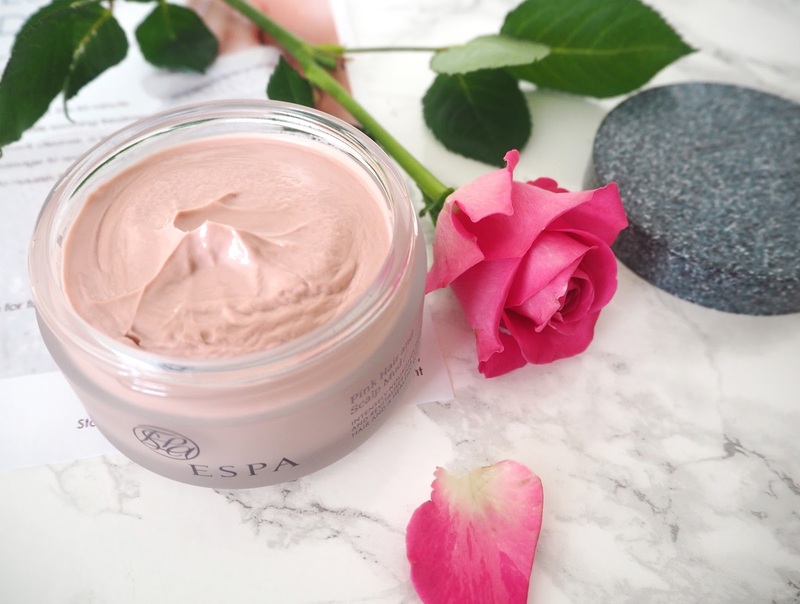 Have you ever experienced an Espa Skincare Treatment or tried any or their products? I'd love to hear your thoughts in the comments!